We’ve all heard stories about how air traffic controllers have one of the most stressful jobs on the planet. It’s difficult to imagine the kind of mental fortitude it takes to have thousands of lives depending on you. Though, when you think about what it might take to execute air operations in a real-time military combat environment, the stakes go up dramatically. Carrying out tasks of this magnitude require complex technologies that are both easy to use and allow for quick deployment of actions. When most people think of NetBeans, maintaining air superiority in a war zone isn’t necessarily top of mind. However, the IDE’s desktop windowing platform is being used by organizations, like NATO, for just such operations. The open-source community came together to share how the NetBeans ecosystem has evolved on NetBeans Day 2016. NetBeans IDE is more well known as the popular web development tool that streamlines the building and deployment of applications. With support for programming languages, like Java, PHP, and HTML, it makes sense why more than 1.5 million people actively employ the platform each month. 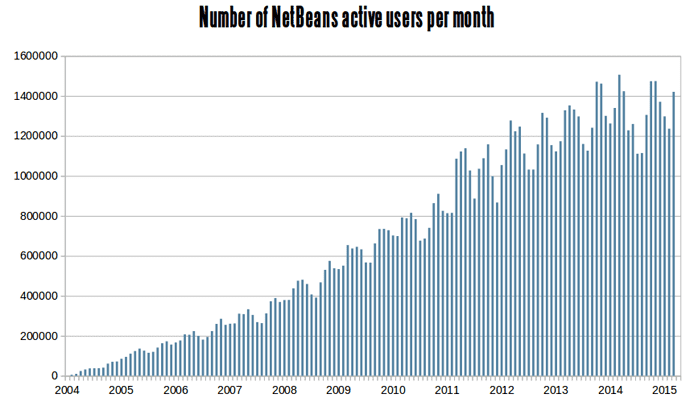 NetBeans doesn’t show any signs of slowing down, as their recent adoption by the Apache Foundation sets the stage for continued growth in the open-source community. NetBeans grew from a simple student project to one of the most popular and trusted development platforms in the world. Originally dubbed Xelfi, the platform made its debut in the Czech Republic back in 1996. According to the development team, it was the first Java IDE written in Java. Started as a student project in 1996, NetBeans has grown to become one of the most popular IDEs. The students who started the project believed that, once they graduated, they could bring it to market. So, they pooled resources and started a company. After a few years and iterations, NetBeans was acquired by Sun Microsystems (the company that developed Java), and the decision was made to make it an open-source project. When Oracle acquired Sun in 2010, NetBeans became part of the Oracle family. 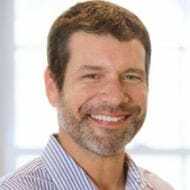 Since the acquisition, NetBeans’s popularity has seen unprecedented growth, and Oracle decided the Apache Foundation’s open governance model is a better fit to steward the platform and IDE. For at least the past seven years, the NetBeans team has witnessed a huge boom in the IDE’s popularity, most of which is coming from the global academic community and professionals throughout Asia. The rise in academic usage of NetBeans is attributable to a program Sun Microsystems started before the Oracle acquisition, Bill told us. Sun created a specific outreach campaign directed at institutions to get the word out about Java. NetBeans has experienced enormous growth over the past seven years, mainly due to widespread use in academia. Because the campaign was aimed at academics, it was very effective in seeding the usage of NetBeans in the early stages of engineers’ careers. These engineers carried NetBeans with them from academe to the companies they were developing for, and the rest is history. After receiving a number of requests to move to a more open governance model, Oracle started talks with the Apache Foundation to adopt the IDE and platform. Both parties thought NetBeans would be a nice fit in the Apache portfolio. Oracle will still be providing the manpower to ensure NetBeans continues to stay on top of Java releases. However, Oracle’s aim was to open the platform to wider participation. “We want to make sure NetBeans isn’t just serving our needs, but the needs of everyone in this community,” Bill said. NetBeans is currently in the incubation phase with Apache, reviewing source code and making sure all licensing is in order. Oracle plans to make their software grant to the Apache Foundation in the very near future. The NetBeans IDE is a development tool, but it is also a desktop windowing platform that allows complex applications to be built and deployed in Java and other languages. Bill told us a growing list of major institutions has adopted the platform. The IDE used to develop and deploy software, however, is what comes to mind for most people when thinking of NetBeans. It offers support for a variety of popular programming languages, including Java, PHP, and HTML, and includes a powerful FTP client that makes it easy to deploy various artifacts. What’s more, it’s easy to learn how to navigate around NetBeans and use the most powerful features. That’s a selling point in and of itself compared with other IDEs. NetBeans has historically shipped with a powerful code analyzer as part of their IDE. The tool helps find potential pitfalls in code that might have been missed. A FindBugs plugin can be installed to further automate the process of locating problematic code. The IDE can also be configured to offer Java Hints, ensuring the code will comply with specific coding standards. 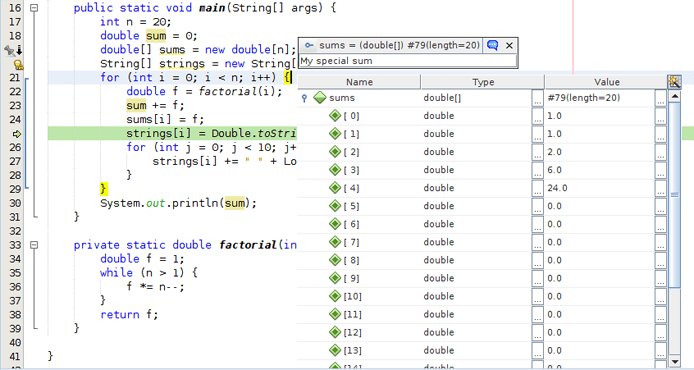 NetBeans 8.2 provides new JS debuggers and pin watches that can be created within tooltips. NetBeans supports the experimental ECMAScript 7 and notifies users when it is being employed in an earlier version. Along with EMCAScript 6, NetBeans 8.2 offers a draft version of ECMAScript 7. Projects can be configured into this experimental script, and when ECMAScript 7 features are being deployed in earlier versions, say ECMAScript 6 or 5, notifications are provided to warn of pre-ECMAScript 7 sources. Other features available in this new iteration include async functions, rest/spread properties, and class property declarations. Also new to NetBeans 8.2 are approaches to integrate the IDE with Docker. Instead of having to rely on the Docker Hub, the goal was to centralize work with Docker’s components. 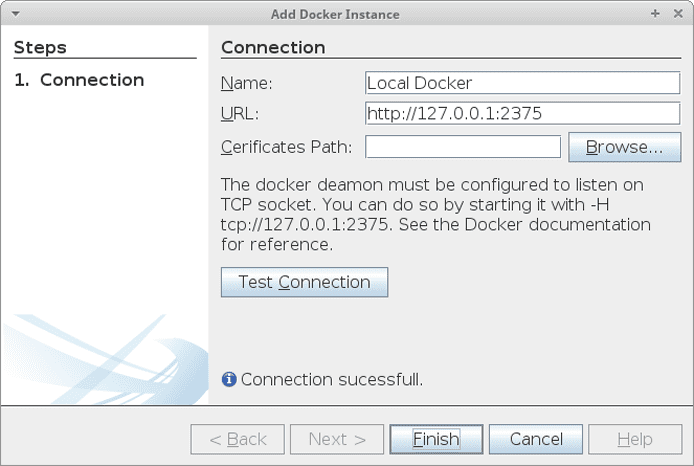 Support for Docker is available inside the IDE, making it easy to run common actions without ever leaving Netbeans. Users can register Docker, build Dockerfiles, and manage containers without ever leaving NetBeans. The IDE can recognize a user’s Dockerfiles and can connect them to NetBeans projects. Syntax highlighting and file editing are also possible within the IDE. As anyone in the development community knows, software is rarely finished. There’s always a better way to build the mousetrap, always new features that need to be added. That’s just as true of IDEs as it is of any other software-related project. NetBeans continues to deliver quality releases to meet the ever-growing demands of professional developers. NetBeans has always moved forward with the mission to keep up with the Java platform, and that’s why all major releases of the IDE have coincided with releases of the Java Development Kit (JDK). Bill told us NetBeans 9 is slated for release in tandem with JDK 9 in 2017. Whether it be dynamically tracking flight patterns in real-time for mission critical situations or providing an out-of-the-box solution to build and deploy software, the future is wide open for the NetBeans technology and team.